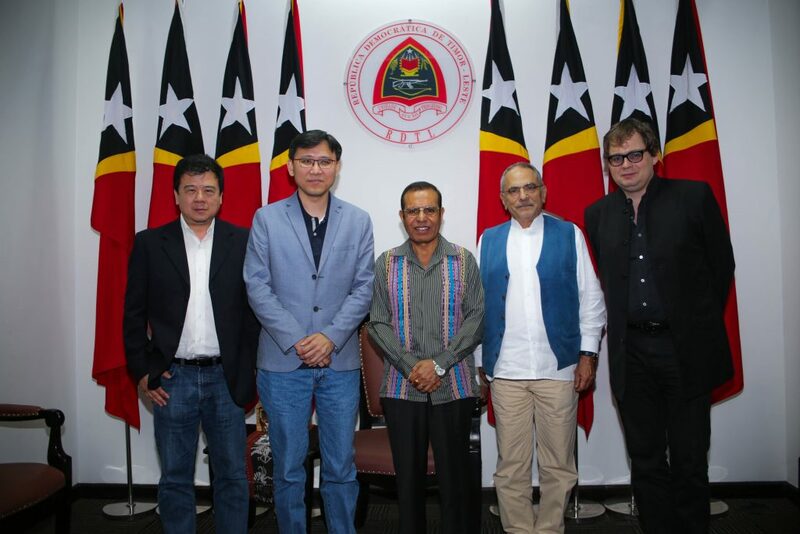 Díli, 29th March 2019: His Excellency, the Prime Minister, Taur Matan Ruak, welcomed, this Friday morning, the former President and the Nobel Peace Prize Laureate, Dr. José Ramos Horta, accompanied by his friend, Michael Ong, an entrepreneur from Hong Kong, in the Government Palace, in Díli. During the meeting, the former President introduced the Hong Kong entrepreneur to the Chief of Government and they talked about his purpose in observing the Timor-Leste’s potentials and how to help attracting the investors from Hong Kong to invest in Timor-Leste, as well as the promotion of the Timor coffee in Hong Kong. “This friend of mine is a well-known entrepreneur in Hong Kong, in England, in China (…) and I was the one who invited him to come to Timor-Leste: «please come to Timor-Leste and see how you can help our Government to attract investors coming to invest in our country». It was a productive meeting with the Prime Minister. We discussed various issues, specifically on how to run a grand promotion of the Timor coffee in China, in Hong Kong, including the promotion of other local products”, highlighted the Noble Peace Prize Laureate at the end of the meeting with the Chief of Government. On the other hand, the Chief of Government expressed his satisfaction and hope that these ideas could be brought into action. Mr. Ramos Horta further said that, as the former Chief of State, he has always tried to find ways to help the Government through attracting foreign investors to Timor-Leste, so they could contribute to the process of national development. The former President also pointed out that he would invite some Government members to attend a great event that will be held in Hong Kong, organised by his great colleague entrepreneur, in order to promote the Timor-Leste’s potentials and to attract the foreign investors to come investing in our country.